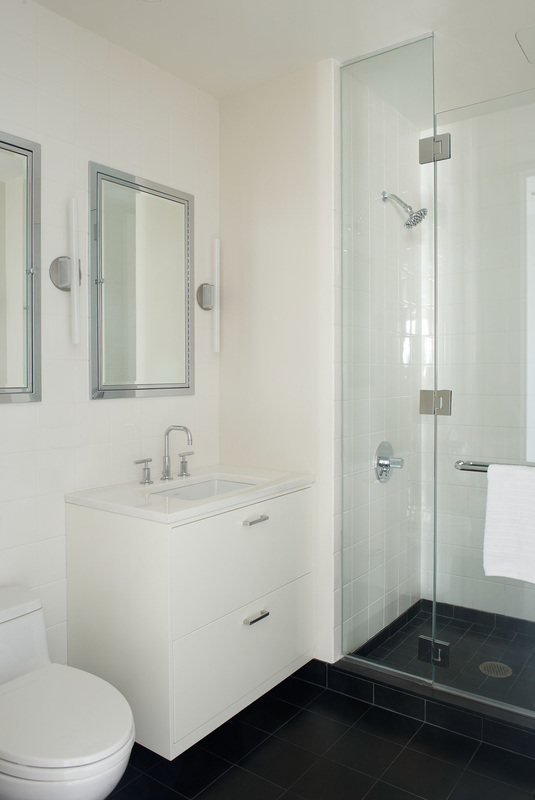 On the tenth floor of a modern building on Cooper Square, this 2,500 square foot apartment, provides sweeping views up 4th Avenue and continuous light throughout the day. 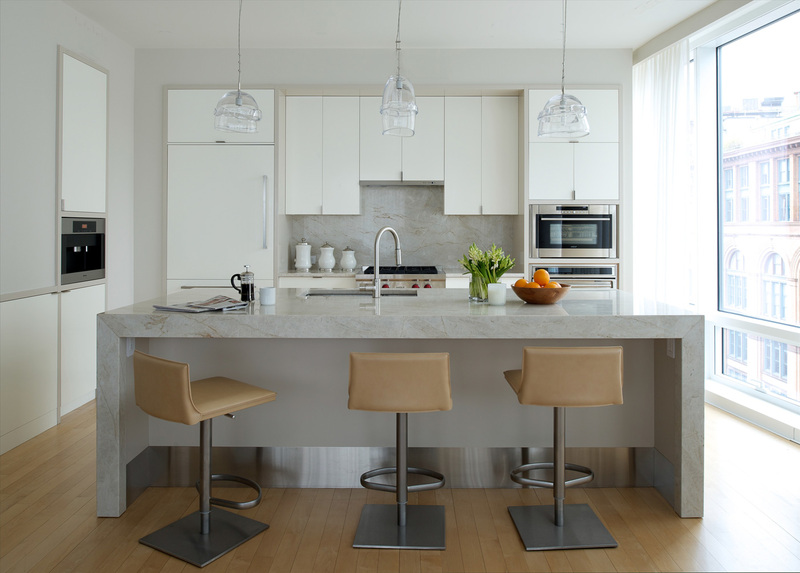 A former 2-bedroom bachelor pad was converted into a warm contemporary home for a family of four. 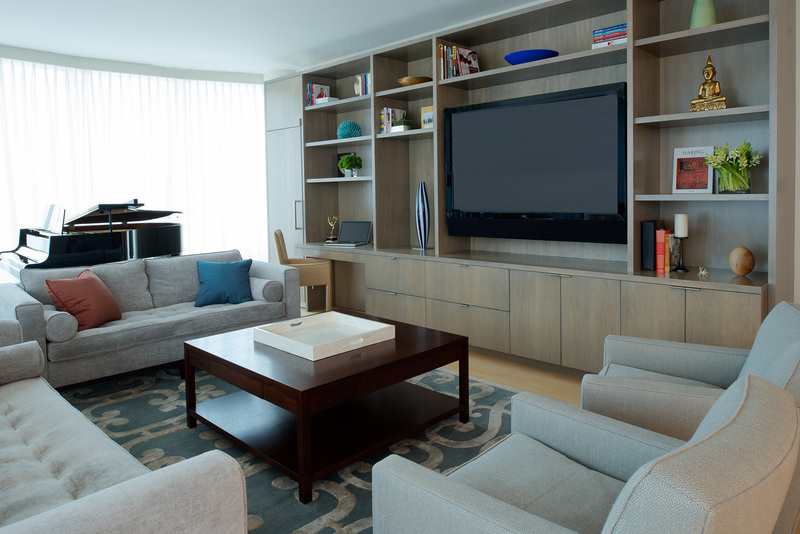 The kitchen and laundry room were reconfigured for additional storage space and a guest suite was created for visitors. 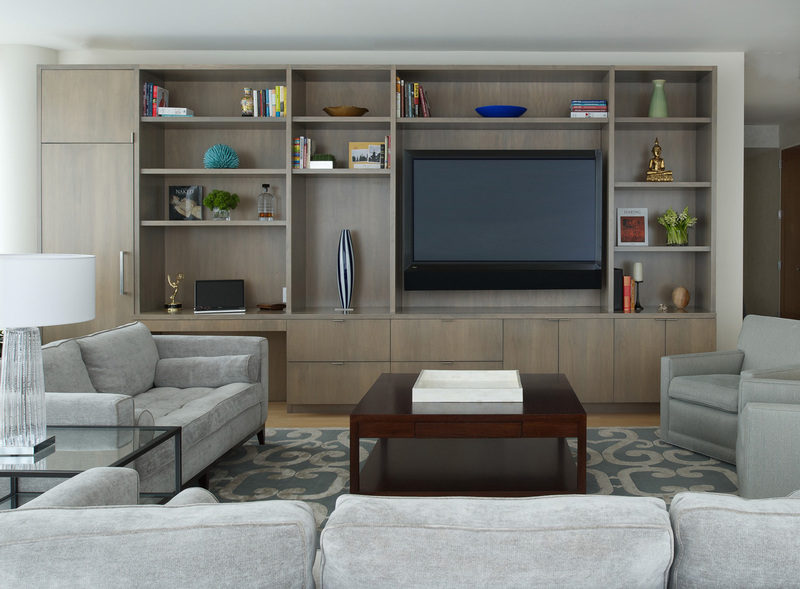 Custom cabinetry houses an expansive entertainment center. 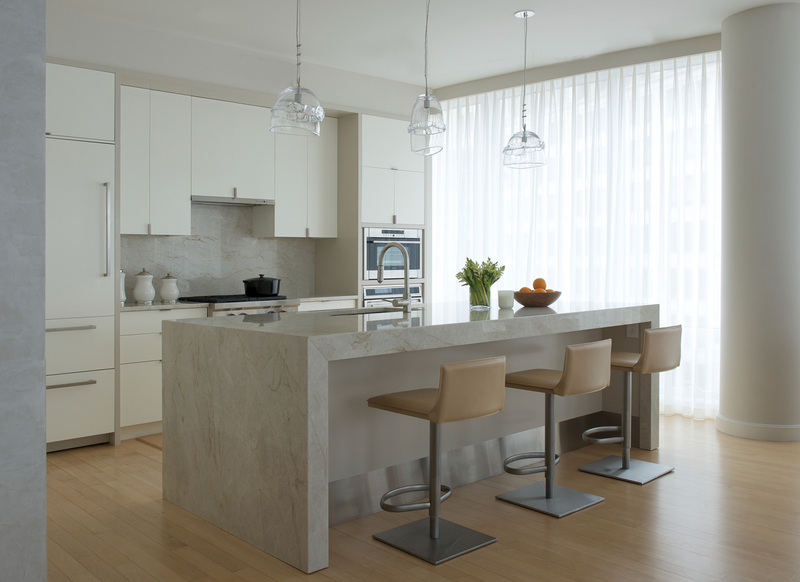 Natural maple floors, neutral toned cabinetry, and light quartzite countertops enhance the light-filled spaces.